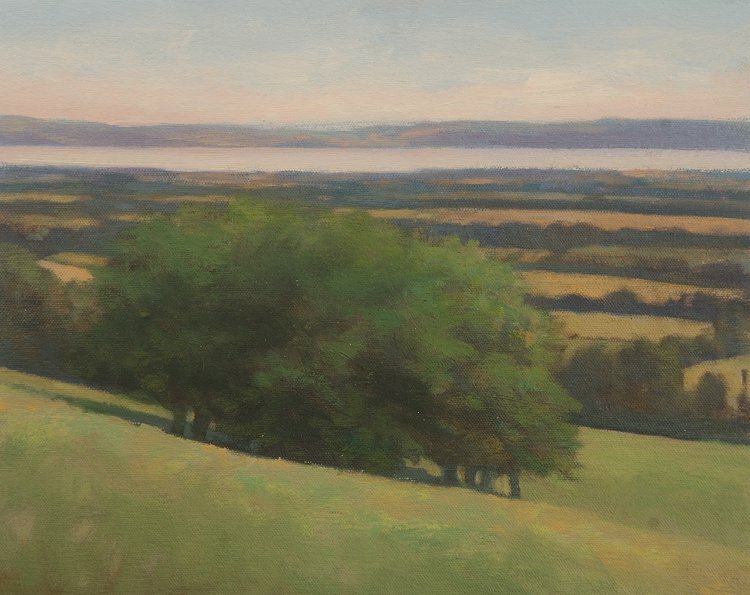 Painted from the top of Dron Hill, an Iron Age fort near Dundee on a warm, tranquil summer’s day. Anything but tranquil was the climb up that slope with my rucksack loaded with oil paints and canvases, brushes, turps, wooden palette, camera, binoculars, food, water et all, to say nothing of my sitting on a troupe of ants when I got here. It made me wish that I dabbled in watercolours and sat on a little seat near a harbour somewhere.